Get A Free In Home Consultation! Nova Home Health Care is a locally owned and operated Medicare Certified in-home health care agency. Our mission is to support and care for the families in our community by providing compassionate, innovative and personalized home health care. We take a comprehensive approach to care and believe it is best delivered in the comfort and privacy of our client’s homes. 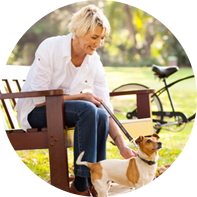 We accept all private insurances, Medicare, Medicaid, and self-pay. Please tell your doctor, social worker, case manager, or discharge planner that you would like to receive our in-home health care services. 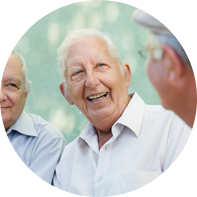 Nova Home Health Care is a Medicare Accredited healthcare agency. ACHC Accreditation has certified that Nova Home Health Care meets the highest recognized standard in healthcare. Learn more about our ACHC Accreditation here. 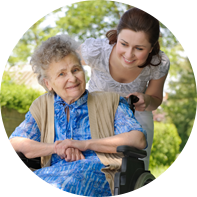 Nova Home Health Care offers a wide variety of in-home care services to meet the needs of our clients. It is our goal to give them a chance to fully recover or to effectively help them manage healthier, happier lives at home. We pride ourselves on remaining tuned in to your needs. By observing your response to the treatment services we deliver to your homes, we identify areas that may need adjustments. Our in-home care team consists of trained and licensed in-home healthcare professionals who live in the communities they serve. We're confident our passionate staff will both meet and exceed your expectations. In-home healthcare at Nova HHC is available 24/7. We respond to your inquiries and service requests without delay. Please contact our office to get started. We are eager to start improving your quality of life. These people truly care – and they are honesty personified. I had to be hospitalized, and the Case Manager came to visit me and see if there was any way they could be of help to me. They immediately responded to me and my needs. My home health RNs and therapists were the greatest! They got me up and moving again, which was something I wasn’t sure would ever happen. Thank you. I was very pleased with all contacts with both the nurse who attended to me and all personnel contacted at Nova Home Health Care. I definitely will use them and I will highly recommend them to others.